Flexi-Access Drawdown is the new name given to all income drawdown contracts that start after April 2015. The new pension rules will allow you to use your fund how you want, you could even take it all as a lump sum if you wish - but beware a number of traps lie in wait for the unsuspecting. You can take only the first 25% of your pension fund Tax Free. The remaining 75% (no matter how you take it) is liable to income tax. This means you could pay 20%, 40%, or even 45% on the amount you take. For many years we have helped customers to take only the tax free element of their pension fund and keep the rest invested until they are older and possibly on a lower tax rate. We have already set-up contracts for customers who, after taking their lump sum, will take as much income as they can before being pushed into the higher 40% tax band. Based on tax rates for 2014/15, an individual can earn approximately £32,000 before they move from 20% tax to 40% tax. Therefore a customer earning £27,000 during the year may take £5,000 from their pension to maximise their income at the lower 20% tax rate. There could be a risk that people with small funds could exhaust their entire fund in just a few years and therefore have nothing left to live on in retirement. These are serious considerations for every customer. The new pension rules allow customers to take as much, or as little, income from their pension fund as they wish. At the same time customers who do take an income from their flexi-access drawdown plan will be limited to putting £10,000 per annum (including Tax Relief) back into a pension policy. Nevertheless this creates a significantly new opportunity for some pension customers to create a further tax free lump sum in the future. Consider a customer aged 55 who, after taking their tax free cash, is left with £100,000 in their pension plan. Even though they have no need for income they take £10,000 out of their pension plan each year and recycle it back into their pension. They do this for 10 years, until they are 65. If we ignore the fluctuations in investment performance that will occur, then by their 65th birthday they will have recycled the full £100,000 back into a pension plan. From this second plan they can take 25% of it tax free. In reality they would have taken more than 25% tax free from the same pot of money. Click here if you are interested in recycling income from your flexi-access drawdown pension. The idea of being able to go to your existing pension provider and take a sum of money from it, like a bank account, sounds like a good idea, but for many customers they will be making an unnecessary tax payment to the government. Many customers will not want to touch their pension until they retire. However a sudden emergency may make them look to their pension fund as a way of meeting an unexpected bill. 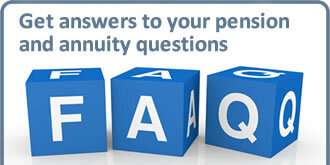 Using their existing pension contract like a bank account may be a poor financial decision. If we look at a basic rate tax payer with an untouched pension fund of £100,000, they have a sudden emergency and need £10,000. So they go to their pension provider and ask for this sum to be paid to them. They are therefore surprised that they only receive £8,500. When they query this, they find out that £1,500 has been paid to the government in tax. Only the first 25% (£2,500) was paid tax free. Tax at 20% was charged on the remaining £7,500, reducing this element to £6,000. Had the customer come to us, we could have given them the £10,000 in full, tax free, and preserved a further tax free lump sum for the future. Please Note : The limits and allowances discussed on this webpage apply for the tax years 2014 – 15 and 2015 -16. These limits could be subject to change, revision or removal by future governments. Nothing in this article should be taken as personal advice and recommendation. UK tax rates and pension legislation are liable to change and concepts, rates, legislation and rules referred to may not be current at the time you read this article. 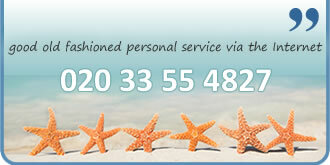 Call 020 33 55 4827 Now!! Happy ? - YES ! You said what you were going to do and you did what you said. This service by the internet felt personal, was very good, far exceeded my expectations and was too efficient to be labelled "old fashioned". To encourage future improvement, I score you 9 out of 10 for your service - but its hard to see how you could have done better.